A few days ago I posted maxi skirt outfits right off the runway here, and these are my top 6 high street finds. There's something to suit every budget and taste, fom plain to tiered to printed. Drop a comment and let us know where you found your staple summer skirt! I luv the last one the most!!! Peacocks and White Stuff do really nice skirts and dresses. These two shops are my favourite places to shop now, especially for the summer. 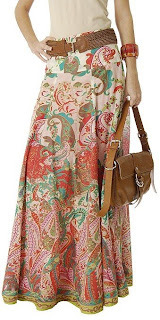 The clothes are so pretty and generally modest. Ah, it' so hard to find skirts here in Ottawa, Canada! i just got two skirts today!! one turqiose and one brown from macy's. i rly love them, but i feel like they only look good with a plain shirt on top. and that can get a little tight sometimes. do you guys have any advice for what to wear on top of a skirt like these?? Oh I love that last one! I get mine from a local Singaporean store called This Fashion/Alano (both under the same company). 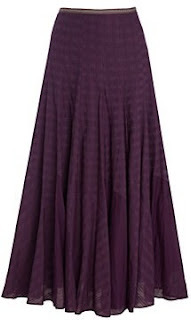 They're possibly the only store offering affordable maxi skirts here. 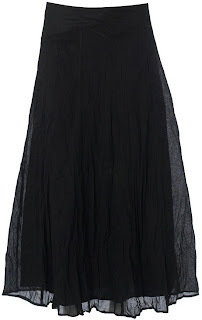 I love the last skirt from Mango, and when i wanted to buy it online, it didn't had in size 12. 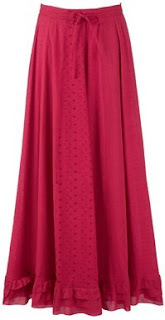 Matalan have loads of nice tunics and long maxi skirts in. Just been in store today just thought i'd let you know. 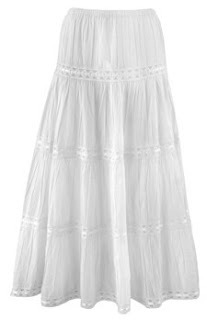 Can you make a post about what to wear on top of maxi skirts? 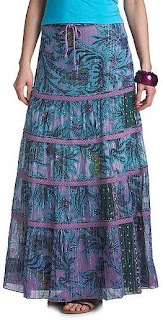 I have tons of maxi skirts I bought from Saudi and I don't seem to use them much! unfortunately :( so can you help?